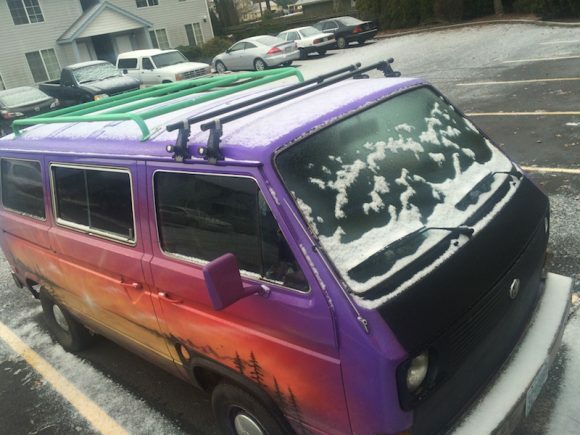 This Vanagon is owned by a guy named Jeff from Oregon. 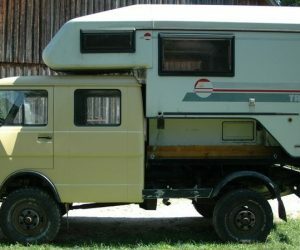 He sent us these pictures of his Vanagon and it is definitely unique. For starters, it has wooden bumpers. That’s definitely the first time I’ve seen wooden bumpers on a Vanagon. It also has a green roof rack that was permanently bolted to the roof. 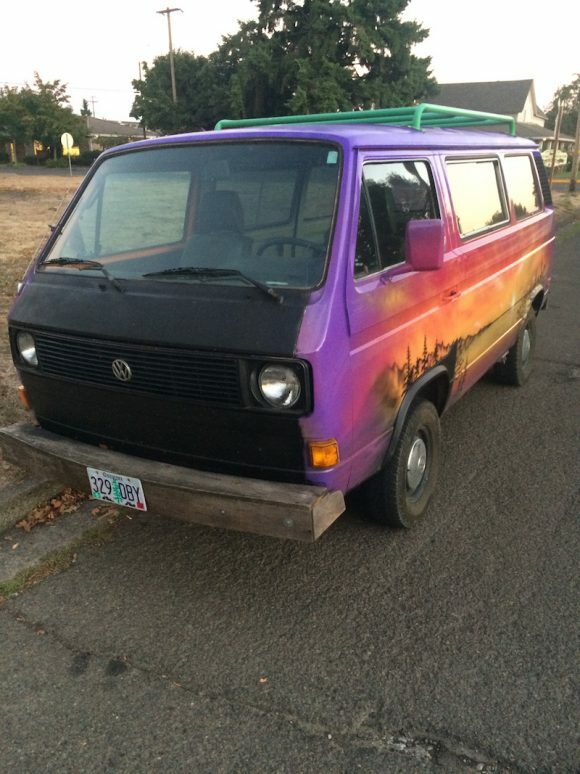 I haven’t even mentioned the scenic paint job yet. 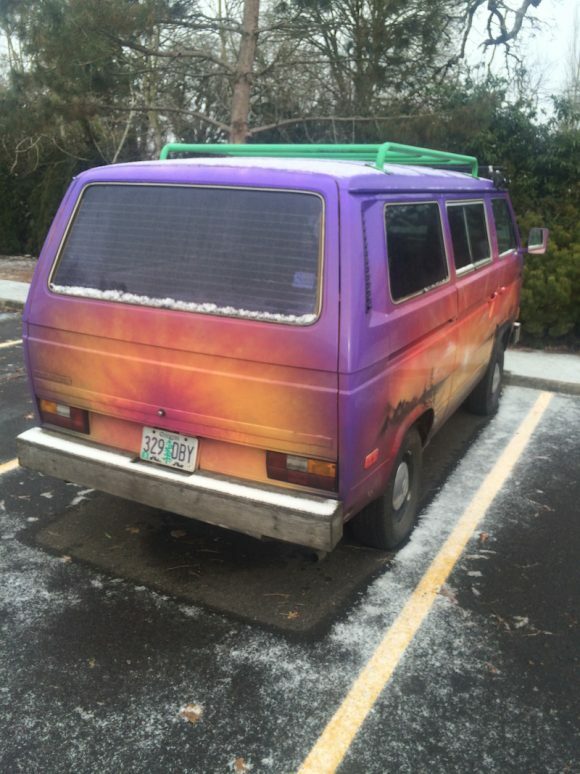 His air cooled Vanagon is his daily driver and he says he’s fixing her up piece by piece. 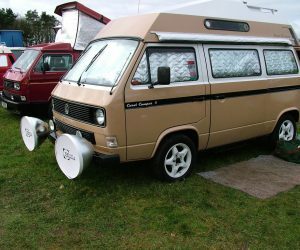 My suggestion is just throw some Go Westy 16″ wheels on it and call it a day! Click through for more pics. 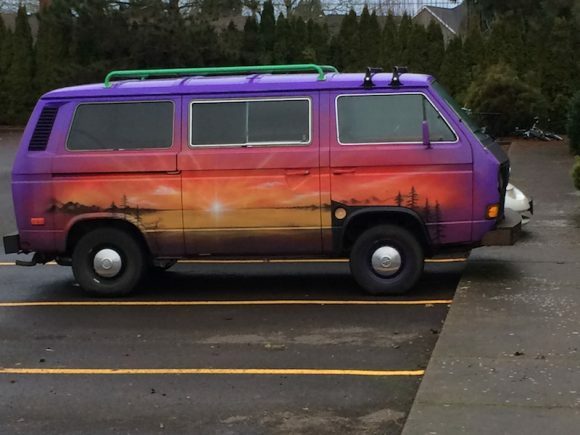 No matter how old, or how unique, there is something about Vanagons that all owners appreciate. This one is no different.